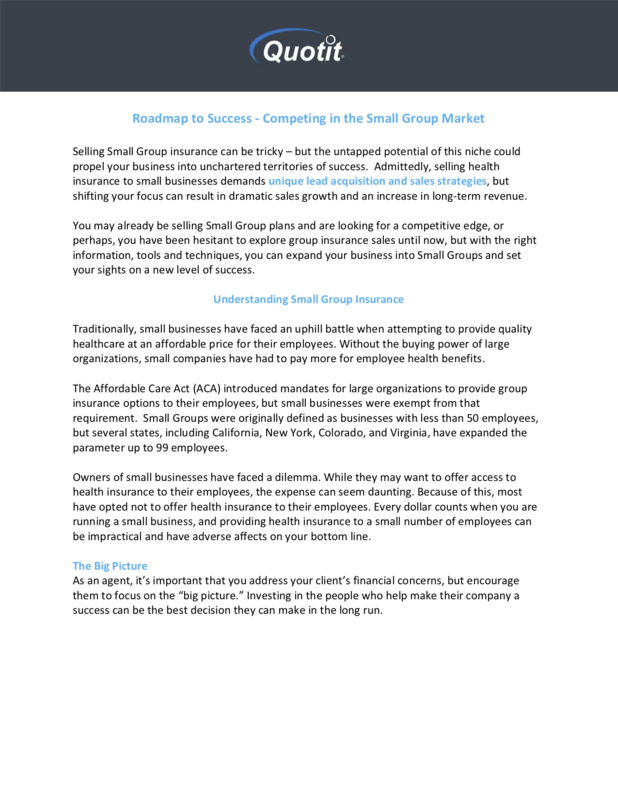 Roadmap to small group insurance success. Why sell small group insurance? Whether you are just starting a career in the insurance industry, or looking to expand an established business, the group insurance market might be the niche that elevates your success to the next level.